Asher is the founder of Pollution.tv, a mission-driven content agency in Los Angeles, and co-founder of the dairy-free athlete non-profit Switch4Good. 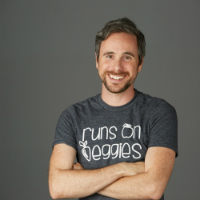 He is one of the leading video producers in the plant-based space, including collaborations with many top brands, non-profits, influencers, and athletes. He is also an aspiring marathon runner.